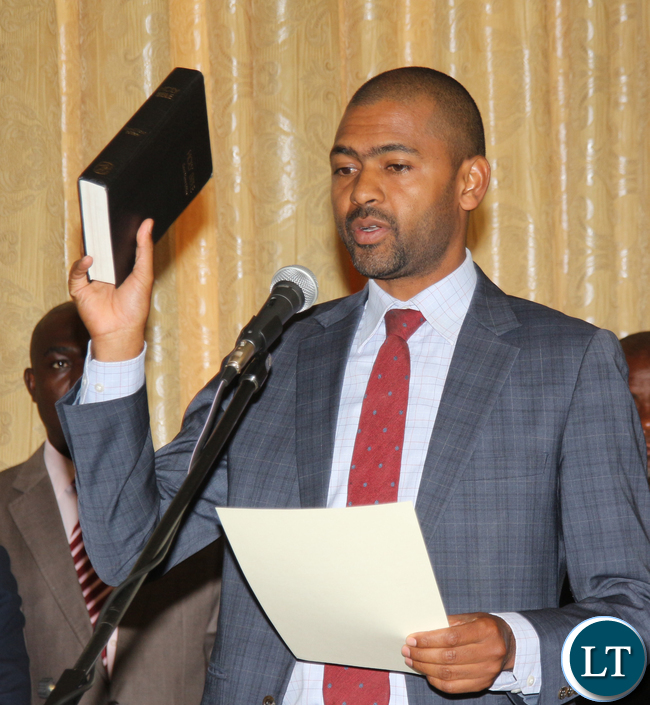 Local Government Minister Vincent Mwale says his ministry has embarked on a programme to appoint management boards which will manage and control markets and bus stations in the country, in line with clause 31 of the Markets and Bus stations Act. Mr Mwale has told Parliament in a ministerial statement that the management boards are expected to be in place by June 2017. He says this intervention is envisaged to eliminate undesirable influence of various political cadres in the management of markets and bus stations, and ensure effective and efficient running of the markets and bus stations . He says the intervention will also ensure adequate revenue collection for local authorities. Mr Mwale says his ministry intends to pilot this intervention in a few selected local authorities initially, especially those along the line of rail were undesirable political infiltrations in the management of markets and bus stations are more pronounced. He has however, clarified that even were a particular market or bus station will be managed by a board, the overall responsibility and control lie in the local authority having jurisdiction in the area in which it is situated. Go ahead handsome, do your thing! Markets and bus stations??? It has to take the minister to deal with that??? This boma iyanganepo mentality is a cancer in the nation! This is more trickery by these tins to handpick dull kaponya cadres… why dont you let the minicipal council appoint or contract a single managers with a team overseen by the council…boards are a waste of money for a mere market. We have visionless Goons experimenting with peoples lives, simply for Cheap Political expediency. IN THE END THIS WILL JUST RESULT IN NO GO AREAS, FOR PEOPLE WHO DON’T AGREE WITH OR SUPPORT THE VISIONLESS CORRUPT, & INEPT STONE AGE P.F PARTY! Yep, this is like the moving of RDA to Satas bedroom and appointing kaponya nsanda to head RDA, who even died as a result heart attack induced by the shock at how many suitcases stuffed full of dollars he had in his house…..
We are not going anywhere with these Grade 12 empty tins all they know is wastage and poor governance…in the UK markets are run by an experienced business Market Manager and with Deputy Manager with a team of security guards and cleaners under them. The Manager is awarded a contract (with a small marketing budget)and he has to meet performance targets ie revenue collection, cleanness, customer service etc…the municipal council still oversee its property. Its really painful the way these utterly corrupt tins are destroying our country to satisfy the selfish agendas!! @ Jay Jay totally agreed, its a foolish, retrogressive and expensive way of institutionalizing what Davis Mwila said about taking over Markets. the board will be full of PF cadres. I agree with you guys #Jay Jay,Spaka, Chilankalipa, Keleni. why not let the councils do their work to run the markets and bus stops? This is good and is long overdue. What will make it bad will be the appointment of cadres on these boards. This Minister is ‘hot’ and handsome. Hon.The fire dept needs to be expanded and merged as PUBLIC HEALTH AND SAFETY to address a broad range of issues like fire prevention i.e all houses to have fire extinguishers,inspection of buildings including houses among other things. How does management boards improve the Cadre crabs of other peoples properties? This may lead to Private firms being sold our Markets.